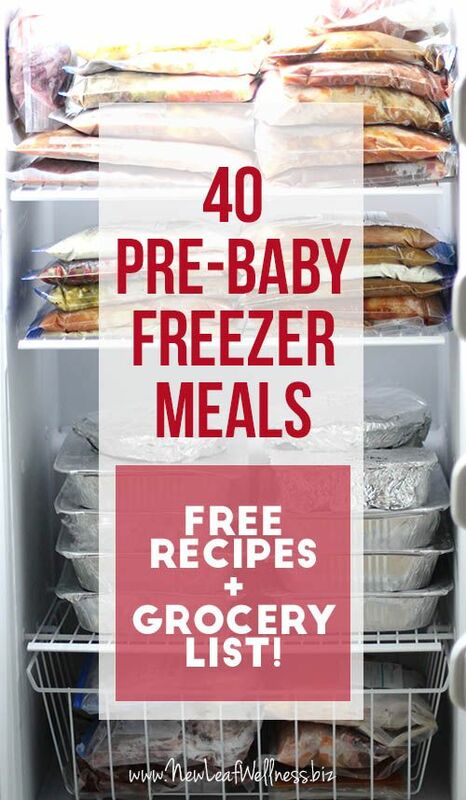 When I was pregnant with my fourth baby I came up with the idea to stock my freezer with 40 homemade meals. 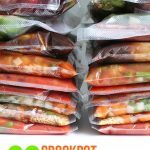 To save time, I focused on recipes that could be frozen without any cooking ahead of time. I also broke up the meals into three separate “prep sessions” so I didn’t have to make all of them at once. The whole thing was really easy to do and my baby is six weeks old now and we have been eating like KINGS. (Seriously. 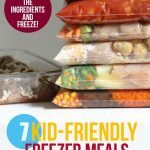 These meals taste so, so good since they cook for the first time out of the freezer.) I love that we can eat a homemade meal every night without any of the work. 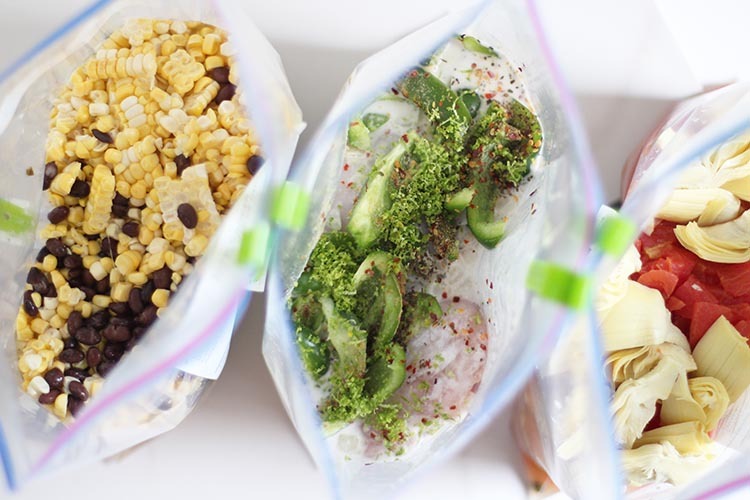 These are perfect freezer meals for new moms! 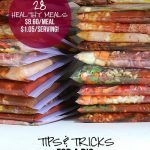 The best thing about these meals is that they include fresh vegetables and are healthy. Yay! They’re also delicious. 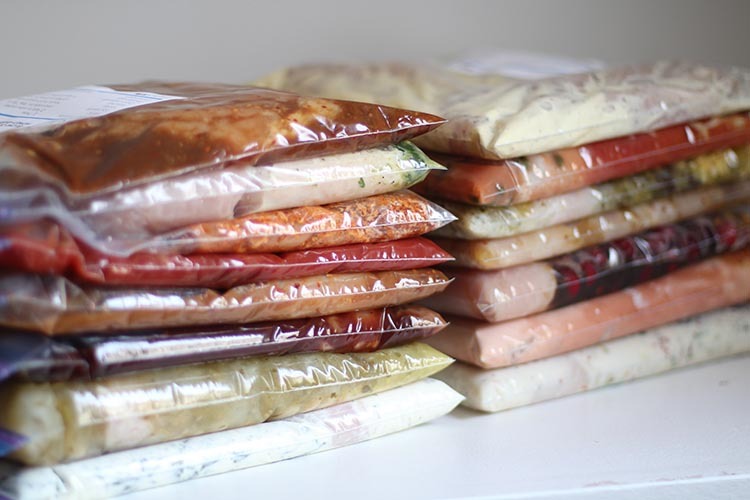 These are freezer meals that I’ll make for my family over and over again. Enlist help if you can. I made most of the meals with my mom and it was so much fun. Try to make a bunch of the meals at once. 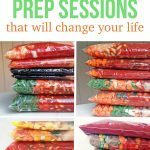 I split the meals into three prep sessions and it was totally doable. I think filling my freezer slowly with only a meal or two at a time would have been horrible. Just way too much time and mess. Spend a little extra money on pre-chopped fresh veggies if you can. I chop all of my fresh vegetables when I make 10 meals or less, but it is *so helpful* to splurge on the pre-chopped one when I’m making more. It is a huge time-saver. Substituting frozen veggies for fresh is also great (for example, frozen green beans for fresh). BUY FROZEN DICED ONIONS INSTEAD OF CHOPPING TONS OF FRESH ONES. Your eyes and hands will thank me later. hi Kelly, I just wan to say that I made and cooked my first freezer meal, and it was perfect!!! it was actually none of your recipes, bat I was encouraged to make it by reading your recipes and experiences over and over. Thanks a lot! you are the best! PS. of course I have bunch of questions! Great job, Delara. I’d be happy to answer any questions you have. will these fit in a 4 qt crock pot? I think they should. Just be sure to cut the ribs to fit. And if the soups are too much, decrease the chicken broth to 3 cups instead of 4. Kelly how long will these stay good in freezer? I am expecting a new grandbaby in September and I would like to do this for my son and daughter in law. At least 3 months in a standard freezer. 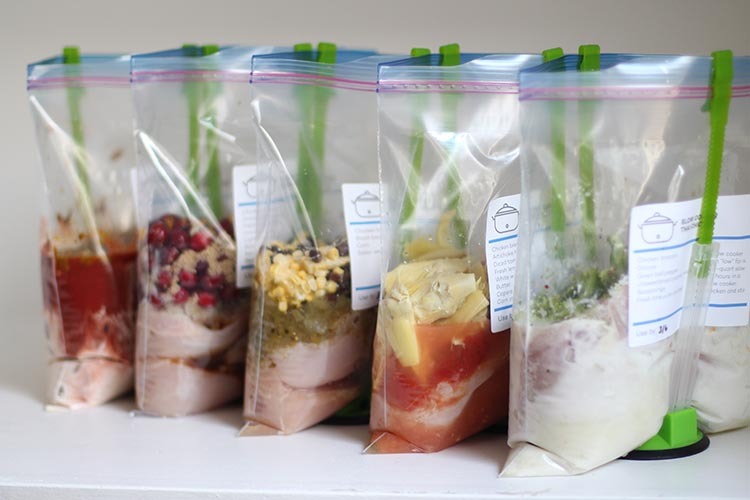 I’m due in August and would like to go ahead and start freezing some of these meals. I have a small chest freezer and have found that meats last much longer than the typical 3-6 month standard. Do you think that would be the case for these meals as well? Would love to get a head start, but of course I don’t want to have freezer burned meals come August/September when I need them. Thank you so much! Yes, I think they’ll definitely last longer. I love that most of these start with the word “Crockpot.” Hallelujah. Thanks a million.